The United States Export-Import Bank said it would begin offering financing in Argentina for the first time since the country’s economic meltdown in 2001 and 2002. In previous decades the bank provided low-rate loans to support local investment, including the construction of one of the main highways leading into this city. “After 15 years we are open for business,” said ExIm Bank Chairman Fred Hochberg this week in Buenos Aires where he participated in the Business and Investment Forum, organized by the president Mauricio Macri administration. “We’re willing to finance all possible export import projects, and at the lowest possible rates to support Argentina in its new process”, Hochberg was quoted during a panel at the forum he shared with Commerce Secretary Miguel Braun. The announcement was confirmed by a release from the Argentine government saying that the Exim bank decision involves both the private and public sectors and responds to an assessment by the US government on different countries’ situation. These assessments reflect improvements in the financial and economic conditions of Argentina, and thus better prospects for honoring debts and credits. 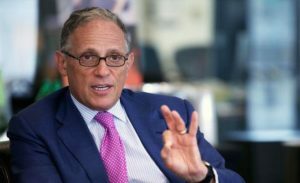 “I am pleased to announce that beginning 21 September the ExIm bank will resume operations in Argentina and this is an auspicious moment for US and Argentina entrepreneurs to work jointly”, said Hochberg. He added that the bank was prepared to provide the needed financing for those associations. ExIm bank will provide seven-year financing and is willing to assess the possibility of further more complex financing, and at time terms which eliminate or externalize risks for the country, according to Argentina’s Finance ministry. 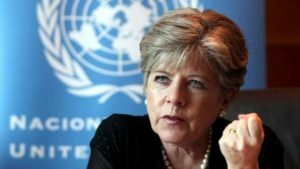 “The first months of this year have been marked by the rise in prices of public services, due to the elimination of subsidies, for the acceleration of inflation , due to the release of the exchange rate, and there is also a fall real wages , with negative impact on consumption and activity , “he toldDyN the body ‘s executive secretary, Alicia Barcena . Overall, Latin America and the Caribbean show a contraction in the growth rate of -0.8 percent. “We are doing ( for Argentina) a projection of -1.5% , which represents a downward revision compared to -0.8 in April. This patch is made depending on the context of economic policy which is seeking to correct some imbalances exhibiting the economy , “said the head of ECLAC. For South America a contraction of 2.1% is expected in 2016 , “mainly affected by a deterioration in their terms of trade, lower external demand and a significant slowdown in domestic demand, reflecting a significant drop in domestic investment “. Growth will be led by Dominican Republic (6.0%), Panama (5.9%), and Nicaragua and Bolivia (4.5%).